The citrus-infused IPAs have been out in force in recent years, with versions from Ballast Point, Schlafly, Samuel Adams and others. The notion of adding citrus fruits to IPAs to complement the existing citrus flavors supplied by the hops seemed to really take off last year and hasn’t seemed to slow down any in 2016, either. 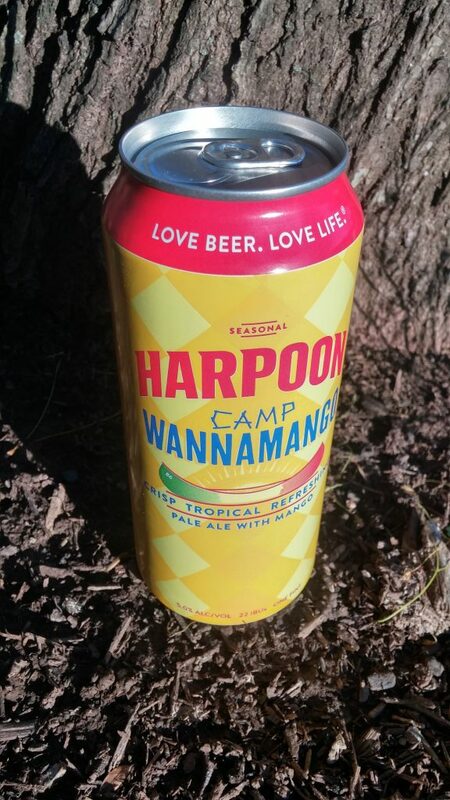 In keeping with that (new) tradition, Harpoon Brewery released a brew this spring that falls in the same ballpark, but isn’t quite the same: Harpoon Camp Wannamango. What’s different? First of all, it’s an American pale ale that actually leans toward being a blonde – at just 22 IBU and 5 percent alcohol, it’s darn near falls into the category of being a “session” beer, with a low alcohol punch paired with minimal bitterness and a light, crisp body. In other words, it’s more fruity summer sipper than IPA spinoff. I recently had the opportunity to sample one, and came away a bit surprised and even impressed with the restraint shown by Harpoon’s brewers. It’s a nice alternative summer brew that doesn’t veer into the category of being one of those corporate flavored beers. It’s subtle and drinkable, and still tastes like beer. I poured (from a 16-ounce can) my Camp Wannamango – even the name elicits summertime images – into a pint glass, and immediately noticed the clear, golden-copper color with plenty of carbonation. A thin and quickly dissipating white head gave way to a pleasant, if rather subtle, fruity aroma. That said, if you’re in search of exotics, be informed that this isn’t anything extraordinary; it’s just a refreshing, enjoyable summer beer that you can enjoy on the beach, on the boat or at a cookout with friends and family. It’s crisp and refreshing, with just a touch of malt smoothness to balance the carbonation. In other words, if you handed one of these to your light-beer-loving uncle, you probably wouldn’t get any pushback. That’s a good thing. According to the Harpoon website, Camp Wannamango made with mango purée, although the full recipe wasn’t revealed. But it’s available in selected markets through August, so if you live in the northeast United States, you should be able to get your hands on some.